For my full-length review and reviews of each individual story, please visit Casual Debris. There is a cold, calculated efficiency to her writing, making it feel at times clinical, yet it is well balanced by touches of humanity and sympathy, particularly when dealing with issues close to home, such as widowhood. The recent stories, dating back to 1996 though most published since 2010, come across as fresh, vibrant and filled with genuine suspense. 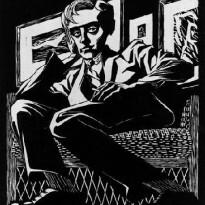 The idea of "nightmares" (as per the subtitle) is not always evident, though there is consistently a sense of threat and desperation; in fact the desperation is so pronounced, from the intertwined characters amid a kidnapping in "The Corn Maiden" to the goody-goody twin in "Death-Cup" and the recent widow in "Helping Hands," that a more appropriate collective title might have been The Corn Maiden and Other Desperations. Stories are consistent in tone and approach, and even varying elements or minor allusions are referred to in more than one story, from two stories (appropriately two) being about twins (though vastly different), to references to international crises and national economic difficulties. With its quieter tone and toned-down level of energy, "Helping Hands" stands out as being the stylistic oddball, though its quietness lends it a greater sense of desperation. 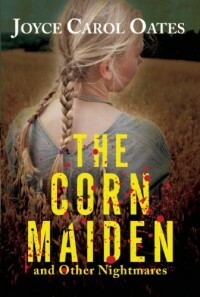 "The Corn Maiden," though as intense as the bulk, shares multiple points of view (despite its limited third person approach), and is structurally divided into titled sections. The similarities, however, did not bother me one iota, and I felt an unintentional interwoven quality at the recurring elements which I quite enjoyed. The book, as a result, receives a sense of unity that is often lacking in single-author collections.